Creating a Business Set up in the UAE free zone is a promising option for every startup firm. The UAE free zone company origination is an economic free zone authority, providing aid from every way possible such as 100% Complete ownership, no import/export charges, 0% corporation and personal Tax advantages, Freedom of work, less regulation, less government monitoring and much more. It is important to note here that Every free zone offers their own benefits that are slightly better than the others. Setting up a business in this region is important as well as a risky process. Why risky? All new startup business has some sort of risk both personally and domestically that they have to tackle alone. However, with all the benefits we have covered here are also some important points that you should remember before setting up a business in the UAE free zone. Have a good understanding and knowledge of each Free Zone Company and their local law implementation. Guidance from a company’s advisor is the best option under this scenario. This kind of consultancy allows you to focus on business terms only while formalities are taken care by them. This also helps you to understand the newer law and the current state of the economy. There are independent rules and regulation on each UAE Free Zone. Make sure to consider their jurisdiction, legal structure, establishment, legal type and so on. Before selecting any free zone, make sure to have a good understanding of their requirements. It is important that you have a good understanding of Freezone Company Formation and Freezone Establishment. A free zone company is actually bound by 2 or more shareholders and a free zone establishment is a company of single shareholder. The major thing to consider here is the share capital requirement. This business setup is a heaven for every businessman around the globe. Having considered all of these points, its no doubt that Fujairah Creative City Free Zone is the best among all. Located on the east coast of the UAE, This creative city offers all the free zone benefits. The creative city has provided reliable service and a professional environment for each firm. So if you are considering Setting Up Your Business In Dubai then here are 10 reasons why you should consider Fujairah Creative City as your first Free Zone fit. For particularly first time entrepreneurs one of the major pulling points is that it allows business to apply for several visas without physical office space. With the Baby business plan entrepreneurs only has to sign up for Flexi-Desk service which offers desk space and up to six visas. Fujairah Creative City boasts freelancers with single owner packages, which provide them with a fast and easy way to get their setup running. It also offers minimal startup and overhead costs as well as little commitment. This is one of the main reason that let entrepreneurs consider Fujairah Creative City as one of their first options to start a business. One of the best benefit Fujairah Creative City is low barriers of a business startup which helps you to enter in this huge competitive industry. You are not required to share any capital details and there’s no requirement for an annual audit. There’s ease for a formal business plan and bookkeeping. For first-time business owners or entrepreneurs, you are not required to provide NOC from their current sponsor. This is a perfect opportunity to set up a new business within the premises of free zone while still employed at current sponsor. After this, you can simply upgrade your licenses as your business grow. Fujairah Creative City provides the best for each business type. There are so many business types currently working in this free zone including Human Resources, Information Technology, Training, E-Commerce, Publishing, Consultancy, Design and much more. It is always a burden to handle all the paperwork of a specified business. But at Fujairah Creative City, its a relief. Setting up your corporate bank account setup is an easy process with creative assistance from the bank itself. It is easy to set up a business license for E-commerce based internet business here at UAE. Fujairah Creative City also offers cost-effective packages for online business in the industry. If your business needs a boost, the internet can raise your level of visibility around the globe. You will gain a huge number of success in your particular niche market. Sponsoring your family members or employee in the Fujairah Creative City is as easy as creating your own residence visa. The process is very simple and contains four basic steps: Entry Permit, Medical Fitness test, Status Adjustment, Emirates ID registration, and Visa Stamping process. It is good to consult a professional firm before considering all of these processes. They usually have more expertise and local suggestions that will help you a lot. Fujairah Creative City is not only for big-budget business owners, but it also provides full facilities for startup businesses. Either you’re a single business owner or a larger firm, you will get all the benefits. Blank canvas style offices are also available for companies. Flexible Desk space is available for Freelancers and sole entrepreneurs. Know as the “jewel of Middle East” Fujairah Creative City is the best place to start up your business in UAE with all the world Class facilities. This place is a perfect hub for tourist and business travelers. 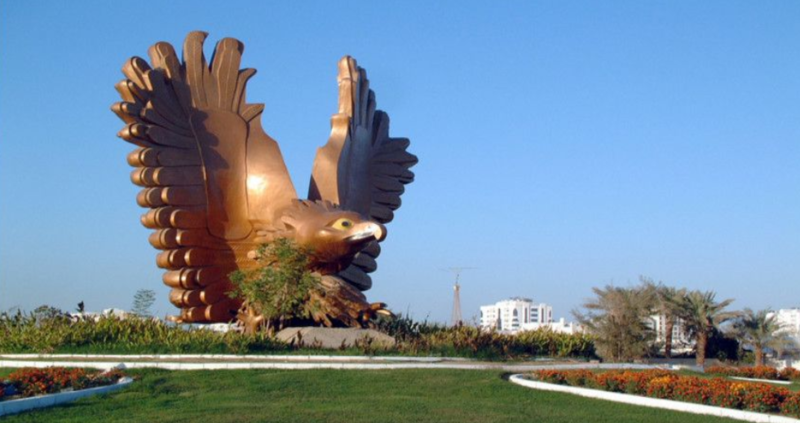 Fujairah Creative City is one of the best places for startup business with billions of potential customers in North America and the Middle East region. So here you have seen all the benefits and advantages for freelancers and sole entrepreneurs. What’s next? In all of these processes, there are some difficulties and complete steps that should be handled professionally. Unless you’re well aware of all the circumstances of the UAE free zone business and current law, you need experienced consultancy from a professional firm. After this, you need to decide some of the basic steps like choosing your company name, Completing your registration paperwork, Approving from relevant authorities, Opening a bank account and applying for visas. Creative city creates a professional environment for a wide range of field including media, consultancy, education, communication, marketing, music, entertainment, Information technology to existing media clusters. With Setup Dubai Business we can assure you to set up your very own first business at Fujairah emirates. We provide a complete set of management and accountancy for all of our customers at the creative city. Our expert team is dedicated to providing satisfied consultancy for all of our clients. Next step is to create visa and immigration for fellow employers. Our team can handle all sort of permits required for immigration and visa process. All the applications by the UAE government and Fujairah Creative City are handled in the light of law and order with 100% customer satisfaction. After all the paperwork is done, the next step is to build your business from scratch. Setup Dubai Business provides all sort of Dubai company formation services including VAT Registration, Local Partner and Business Support, Dubai Mainland Company Formation, Accounting Services, Dubai Office and Smart Desk and Dubai Business Trade License. We provide our customers with cost-effective office solution with customer satisfaction. Why consider Setup Dubai Business as your Dubai Free Zones Company Setup? Dubai remains one of the best places flex your business muscles or open an offshore branch. Setting up business here can provide you with good incentives but consultancy from local knowledge is a must for foreign investors. Together with Setup Dubai Business, we will help you focus on your company growth and success. Here are some benefits that our firm can provide in order to grow your business. We at Setup Dubai Business can take care of the above-mentioned aspects with complete satisfaction and immediate report on each factor. In this way, you can focus on your business and let us handle the paperwork. With our years of expertise and strong relationship with UAE government authorities, we can help you run your desired business as quickly as possible.